Clubhouses can get tense and jittery before World Series games. It's only natural. 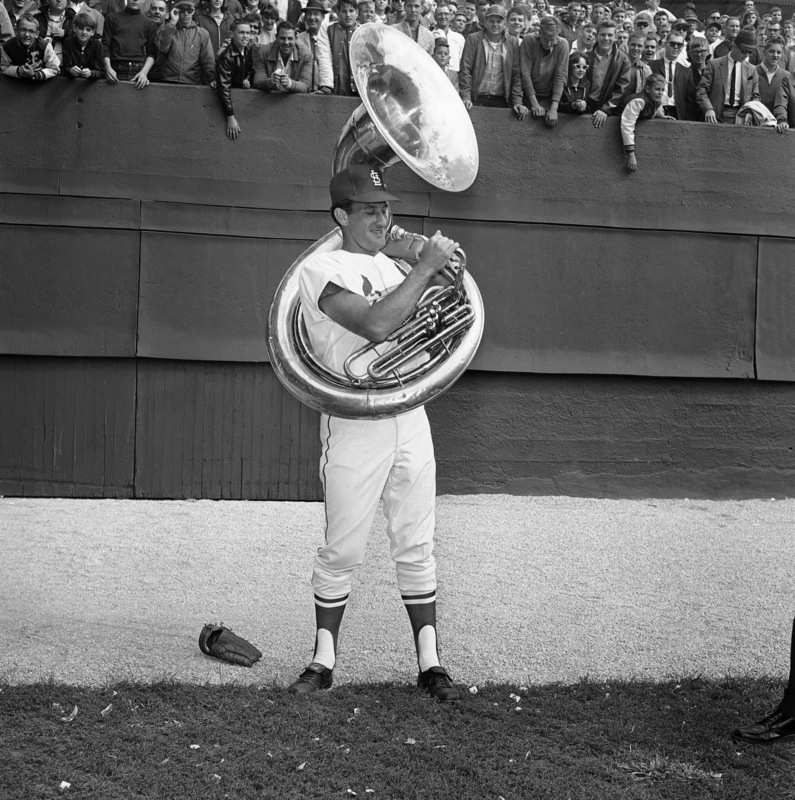 "They had some Dixieland bands on the field that were playing before the game," Uecker recalls, "and while one of them was taking a break, I grabbed one of the tubas and put it on and went out in the outfield and started shagging fly balls with it. I didn't catch them all. Some made dents in the tuba, but I caught a couple." Although the current Brewers broadcaster's stunt didn't help the Cards win that day, they would go on to beat the Yankees in seven games. Moral of the story: Don't bring your gloves to ballgames, kids, bring a tuba.